Cécile, on the other hand, had been looking stronger and stronger throughout the day – particularly on the last of the four reps Jo had “given” us. A strong cyclist, the hills are her natural environment. She tried to talk to me a little bit to help me through the struggle. The last words I remember were something like “my father was a ski instructor, but I never really liked skiing.” That was the end. Not because of the anti-skiing reference – but because when I saw that road sign "Leysin 4 km", I felt my legs shaking like leaves blown by the wind. If I stayed on the pedals, I’d face severe cramps – or even worse, I would have to get off the bike. And at the same time, if I tried to keep up with Cécile and Jo’s pace – no matter how slowly – I would not make it back to Leysin on my own. That was only Day 2 of what we nicknamed the “Suffercamp powered by Jo Spindler” and I was already in all sort of trouble and pain. 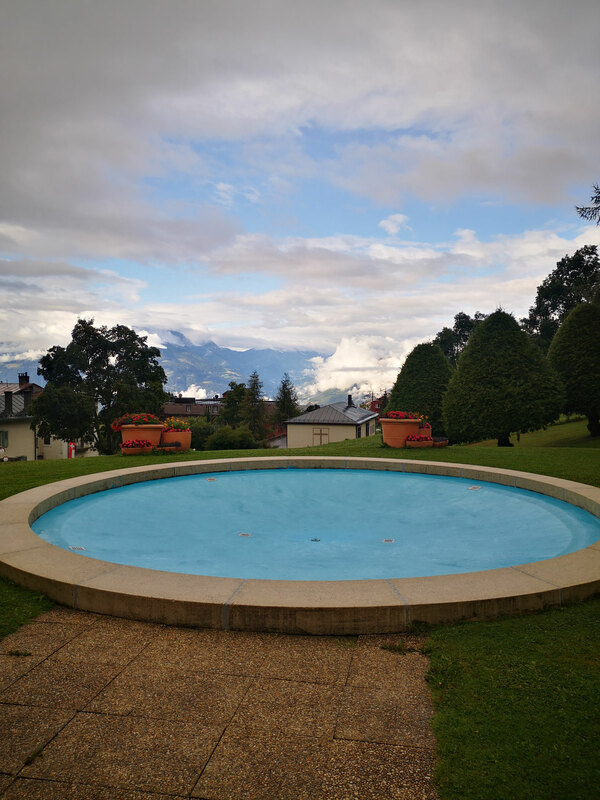 Rest assured: a triathlon training camp in Leysin (a mountain village perched on the Swiss Alps at 1,260 meters) is not for the faint-hearted. It had been three years since I had bonked so spectacularly. However, the mountains have multiple identities and every day they can either provide a new challenge – or a reward for the previous fights. And although Day 3 of the camp was probably even more challenging than Day 2 (a swim in the morning as per every day of the week, cycling down the valley for a track session and then cycling back up all the way back to Leysin), my body had already, incredibly, recovered from the day before’s debacle. The 30+ degrees of a midday track session were not fun by any measure, particularly because of that 10 x 800 metres at 3’20” into a 200m easy that Jo threw at me. I was scared to cycle uphill again after both the bonk of the day before and that track session -- but fortunately the way back up on the bike with Cécile (still 25 km to go, 15 of which was uphill) turned into a pleasure instead of a further torture. And unlike the day before, I could actually respond to her chat and even have a conversation. “Take it very easy on the way back,” said Jo. He didn’t have to say that twice. 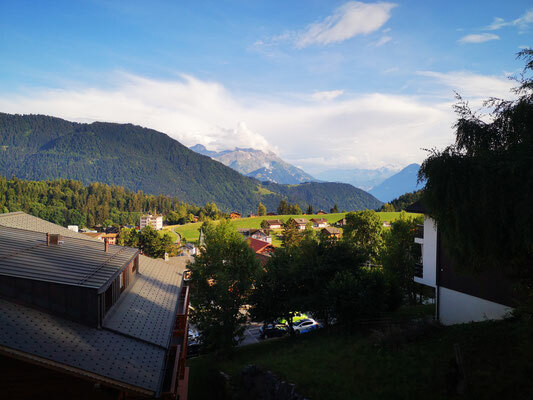 The training camp in Leysin was my first training camp as an athlete, as the other two I had previously been at were as a coach with a local London tri club. It goes without saying that I enjoyed the one as an athlete much more. Not only because all I had to do was "just" wake up, train, rest, train, rest, eat and train… but also because the set-up in Leysin allows you to focus on your training 100%. 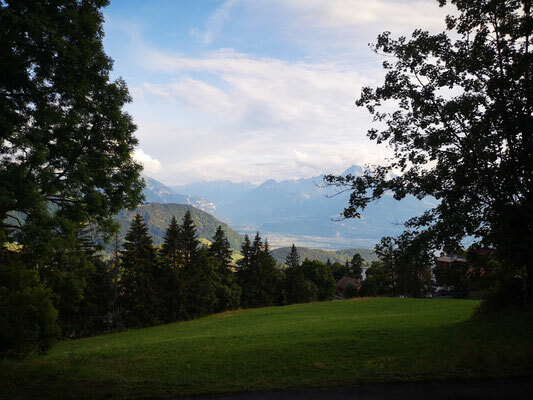 Furthermore, the mountains of Switzerland challenge you that extra bit – both with their steep slopes and the lack of oxygen – so that at the end of the week there is no way you’re left with anything in the tank. The proof is that after only two days my “red lights” were already flashing in alarm mode. The last day of the camp, Saturday, I was a bit stressed because at noon we were still out riding (on a warm and sunny day) and I still had to pack up to leave. Jo, Cécile, Matti and Sandra convinced me to cycle an extra 40 minutes and to opt for the long route. The gentle hairpins of the roads Leysin, Forclaz and Gstaad were the perfect finale for an otherwise sharp and challenging week in Sufferland. The high temperatures were making us sweat more than normal and drinking regularly on a day like that was a top priority. Even though I was tired from the almost 21 hours of training I logged during the week, I felt stronger and my mood and character received an incredible boost from the week of training in Lesyin. By the end of the week I was hooked. The hard training routine of Jo’s camp was what I was looking for after a major set-back in July and a time where I felt I needed something new. Leysin was the perfect playground to find new motivation and new grit. With the mountains being my natural element, it wasn’t hard for me to feel at home and strengthen my morale and goals ahead of the new season. 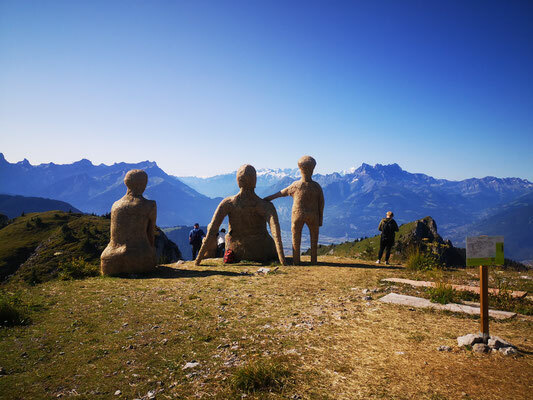 If you’re looking for a real camp look no further than Leysin’s “Suffercamp powered by Jo Spindler”.